Apart from how to come up with a great product and figuring out how to sell it, there are two other things we get asked for help with the most - websites and social media; especially from creatives like hairdressers, barbers, artists, musicians. Something about their creative brilliance that maybe sit at odds with technology. In-betweener: My hairdresser friend is looking for someone to help with social media marketing. They need to get more customers. Can you help? In-betweener: Oh, ok - is it that simple? Soup to Nuts: Well, some salons struggle to take pics because they are quite busy. Do they have a receptionist? 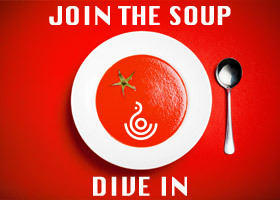 Soup to Nuts: Ok, well in that case Instagram and Facebook updates should just be part of their job. So there you have it. If you are a hair or beauty salon and you are busy enough to have a receptionist, please add Instagram and Facebook into their job description and then get them to read this post. The 5 step guide to DIY social media for visually creative business, but especially hair and beauty salons. If you are a physical business, then this isn't even a step, this is really just a pre-requisite in case someone is randomly searching online for a salon in your area. Your business has a google page e.g. there is a map and pictures of your business that pop up when someone searches for you on google, like this one. If you don't know how to do this, you can watch this instruction video. Instagram - now taking over Facebook in terms of where customers, especially younger ones, go to find fashion, inspo and new service providers..
Facebook - depending on your clientele, this is still a great way of reaching your 35+ market but don't be fooled by the time people spend on Facebook - they are mainly saying "Good Morning" to their friends and family, trawling through the photos of schoolfriends and exes and watching dancing animal videos. Aside from these, Twitter is optional and comes in third, but won’t drive as much business, in my experience, for this type of trade. If you take away nothing else from this post, the key to success on both of these is photos, photos, photos and videos - all taken on a good quality smart camera, e.g iPhone 7. You can get someone to set up your Facebook and Instagram for you but it will only be sustainable and cost effective in the long run if you can get into the habit of taking photos regularly yourselves. These could be photos you already have from your work, or maybe you want to start experimenting with before and afters. But just get some photos together so that you have something to start posting with. Although Instagram will ultimately be the most important I would advise you start your new visual campaign on Facebook. It will be less daunting, people will be a bit more forgiving of your photographic skills and you will find your friends, customers and fans quickly. If you’re not on Facebook yourself it doesn’t really matter as anyone can do this for you. Create a page from a personal Facebook profile, make sure all of the basic salon info is there e.g. phone number, address, services, pricing etc. If the salon is already on facebook because people have ‘checked in’ then you need to claim it as your business. We’ve done this previously for clients and it's not too difficult. Once the page is up, you add additional administrators who you want to be able to post as if they are the salon, e.g. the receptionist and the stylists etc. And then just start taking photos of your clients, tagging them in and asking them, friends and family to like your page. Taking pics sounds simple, but what we’ve noticed over the past few years is that the photos you need to get people into your salon are definitely not the same as the ones you get in editorial Hair magazines. On social media, people want to see the details of the hair style, the neatness, the textures, the colouring, the hairline, the quality of the finish, the edges, the volume of the hair, the movement etc. They are really not bothered about the face, makeup or how avant garde or creative the styling is. I think this is where a few traditional hairdressers are struggling and some of the newbies have quickly figured things out, especially the mobile hairdressers and hair extension specialists. 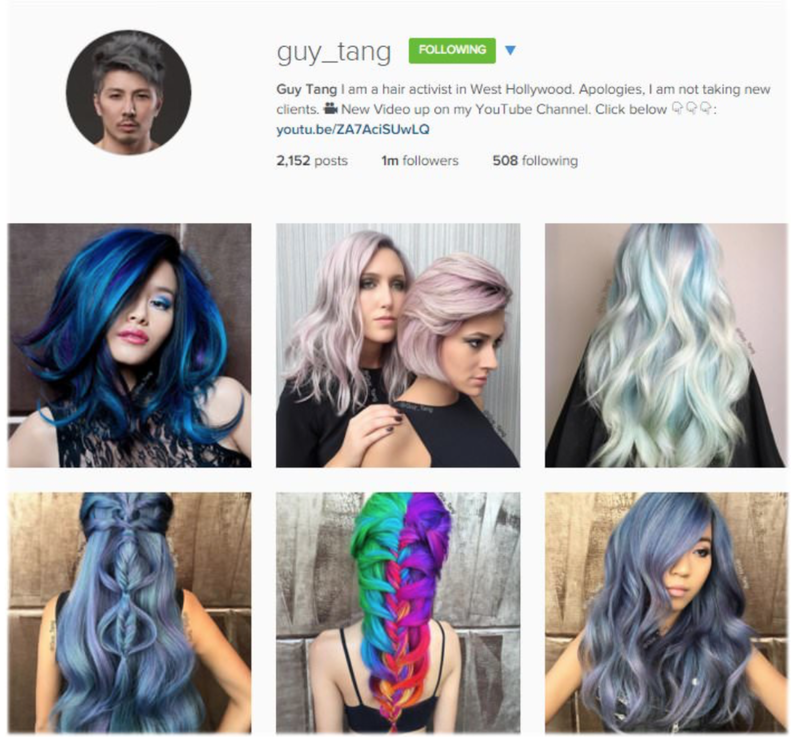 Check out this brilliant article showcasing the top hair salons on Instagram and you'll see that whether the look is editorial or promotional, there is a new way to photograph hair. Now that you've done your homework, you just need enough photos to start off a respectable looking Instagram. A great app for scheduling posts and really getting your creative juices flowing is UNUM. You use this to schedule and order the images before you post them on Instagram so that they start to work well together, rather than being random. Really worth checking out. Instagram is all about the hashtags. Lots of them Have a look at this article for some popular salon hashtags and how to use them. Also, take note of the hashtags being used by the top salons and which ones are generating the most likes. Instagram is all about creating the right image so it does take a little bit of time to get this right. However, if you’ve already started taking photos for Facebook you will have a good stash to choose from in just a few weeks. Watch this video on how to set up your business on Instagram and then go for it! Create a hashtag for your salon, ask your clients to take selfies, tag you in them and use your hashtag. Use of Models - we’re not talking Naomi Campbell or Kate Moss here. What good salons do is if they have a quiet day, they might send out a quick text or Facebook blast offering a 10% discount on appointments that afternoon for models, e.g. those willing to have their photo done. What this does is it fills up your appointment book and hopefully gets you some good shots. You could even be specific e.g. models needed for a big blow dry this afternoon - 15% discount etc. This will help just in case you’re not getting the variety or number of shots you want. You can find lots of companies that will offer to do your social media for you for, say, £50 per month, forever, and you don’t necessarily see a return from it. But be aware that they will only be as good as the photos you can provide them, unless they can come in to take them for you and then it will get costly. We’ve occasionally done this for clients and helped other clients set up their Twitter, Instagram and Facebook pages got them a decent number of followers, and then let them take it from there - we refer to it as Turbo-Charging someone's social. But in the long run it's down to you. So, depending on where you are now, we're happy to discuss helping you if you feel you need it e.g. getting started, giving advice, showing you how to take the photos and then handing you the reigns. But you could also have a go yourself and save some money. After all, you're a successful creative running your own business - how hard can it be?